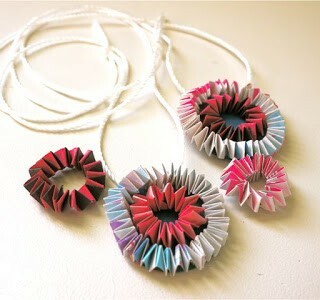 Today I announce the winners of The Great Tissue Box Challenge 2010!!! But first, before any prizes are awarded, please take a moment to stroll through the tiny villages that each one of these participants has so carefully concocted. Isn’t it amazing how each little abode is so meticulously cut, pasted, painted and ornamented? 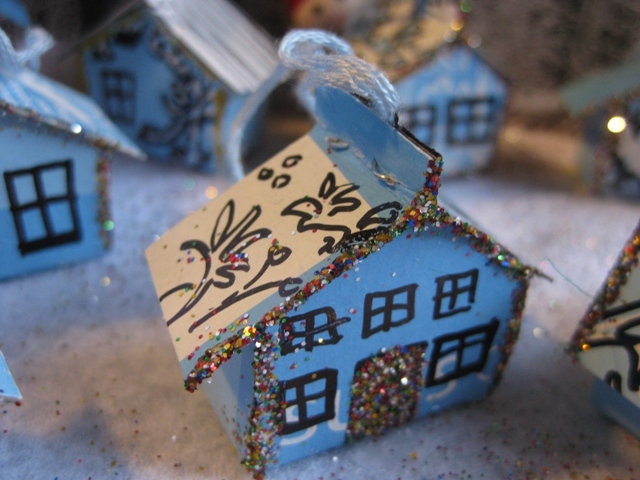 Take a look at what Amy (with help from her husband) has crafted. Their little ornaments are heavenly! 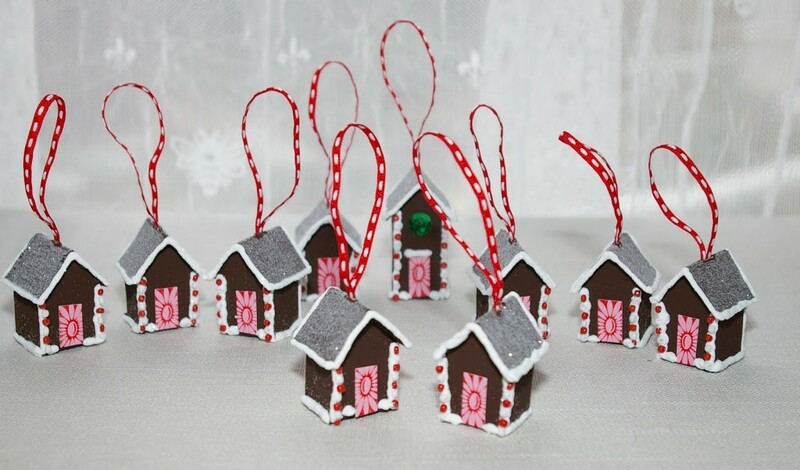 This village of 18 structures comes complete with several teensy gingerbread houses, a set of house-triplets spelling JOY, a townhouse, a barn, a Federal building, and the pièce de résistance, a church! To see more photos of the town, and their creative process, please visit Amy’s delightful blog During Quiet Time. So beautiful! 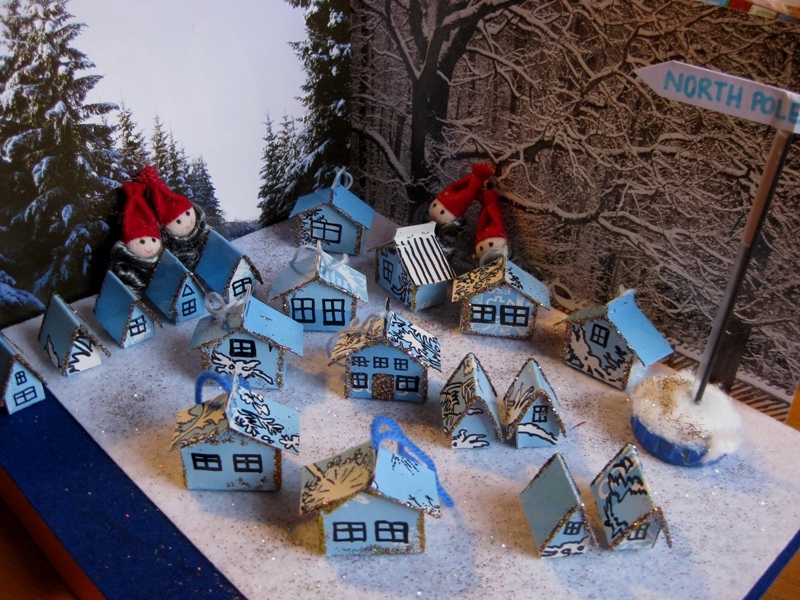 The snowy hamlet created by Linda @ Mermaid’s Creations is Santa’s own village at the North Pole! There you can see his little elves busy day and night. In fact, Linda has made it so that from one perspective, we see her 18 joyful houses during the day, and then turned the other way, they are magically lit up for the night. It’s a downright cozy home for Santa and his elvish friends, don’t you think? 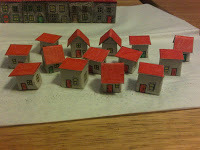 Caitlin (Catherine’s daughter) from The Sewing Attic built 20, count’em 20, teensy tiny houses!!! 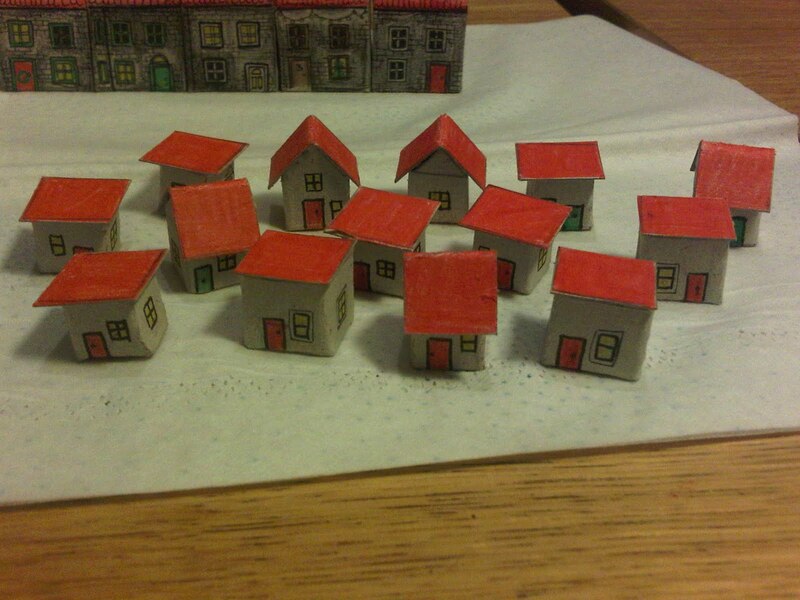 I am so impressed with Caitlin’s little tissue box village. As you can see, no two houses are alike. Each construction is a unique, sparkling and bedazzled delight! Wouldn’t it be glorious if this were a real, life-size street somewhere in the world? I’d live there in a heartbeat. I’m not even kidding. 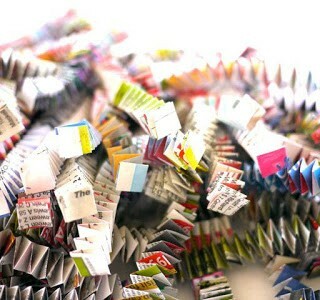 And finally, here is Fiona’s email submission to the Great Tissue Box House Challenge. Count Fiona’s houses with me… Count’em again to make sure you got that right… What was that? 27 houses? 27!!! Can you believe it? 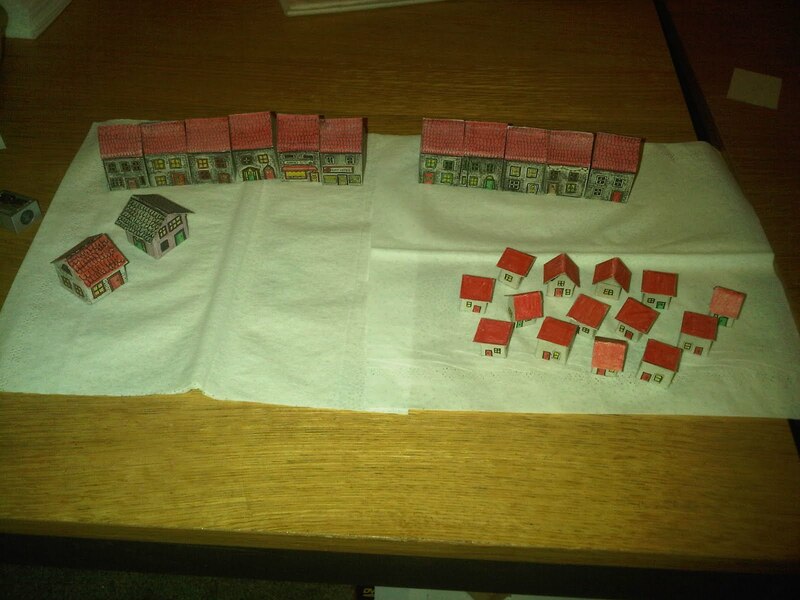 ONE TISSUE BOX = 27 houses!!! That must be a record. Wow. Fierce Fiona, you are a competitor. Now please take a close look at just one of Fiona’s houses. The details are wonderful. 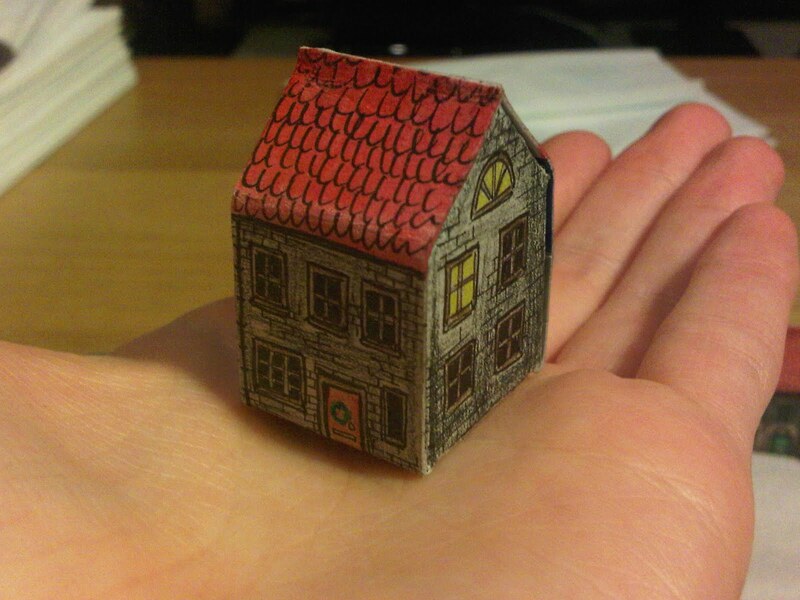 Stone house, red shingled-roof, a variety of windows, door with wreath, some rooms lit, others not. So pretty Fiona! If you have time please visit the competitors’ wonderful blogs including the Rebel Submissions from yesterday. 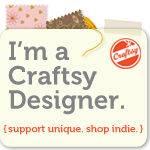 They are truly an amazing group of crafters in my humble opinion. NOW, the overarching feeling in my mind right now is this: WOWEEEEEEE. Everyone comes at any competition with a little basket of interesting life experiences. You are individuals who have arrived where you are in a unique way. You are not robots. How is it possible to pit one of you against another? 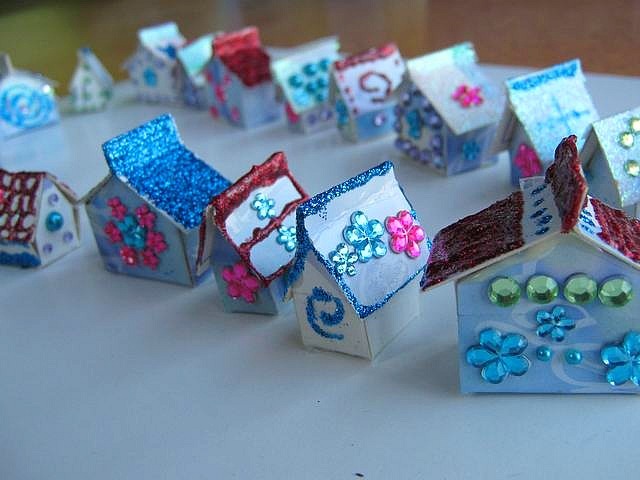 How can I compare a house built by a four year-old to one built by a 40 year-old? It’s impossible. I treasure all of your submissions because each one is a tiny part of your individual stories. And that to me is so special. Thank you, thank you for joining in. It is an honour to show your amazing work here on this blog. Hugs to you. I will be contacting the both of you as soon as possible with details regarding prizes! Now please, have yourself a fantastic day! And Happy Thanksgiving to my American friends! Congratulations Caitlin and Fiona! Love your houses! well deserved!! These were all wonderful! I look forward to seeing future challenges. Congratulations Caitlin and Fiona! Am I the only one who can't see Fiona's submission? It's killing me! There are just red "x" symbols showing up. I want to see those beauties! What a wonderful collection of houses. They are just so adorable. Love them all. Congratulations to the winners!!! Fantastic all! (I can't see Fiona's houses yet, either, but will come back to check again…) Fun made by Michele, our great challenge leader. I know it's a lot of work, but I hope you do more of these. You can wait til next year if you want. I have red x-s too. I am so impressed with all the little cottage lovliness. Well done to them all ! OK, I can see them now! Thanks for fixing that. They are adorable Fiona! You got a lot of detail into a small amount of space! I can see them! Truly crazy creative. Beautiful, Fiona! Congratulations Fiona and of course Caitlin for their wins! Fiona your houses are absolutely beautiful with all those details! Thanks so much for organising this fun challenge Michelle and look forward to future challenges I hope. Wow, tough job judge, but well done everyone. All of the houses are spectacular. Anyone that can wield an x-acto knife and white glue to such remarkable effect deserves a major round of applause! 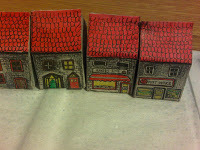 Well done to you all and the winners….so wonderful those little houses. Congratulations !! And thank you Michèle for this game ! I really admire all that the others did , and know that mine were just a try , anyway I am going to do some more with the kids – I only see them again next week , and I am sure we will have a lot of fun, and come out with even more different houses … I kept the idea of edible ones too 😉 Thank you for inspiring us !!!! and thanks for the contest. it was a really nice challenge! To DM: edible ones? THAT is something for us, too! Thank you Michèle from me and Susi – it was fun taking part. Well done girls! I can't believe Fiona made 27 houses!! That is amazing! 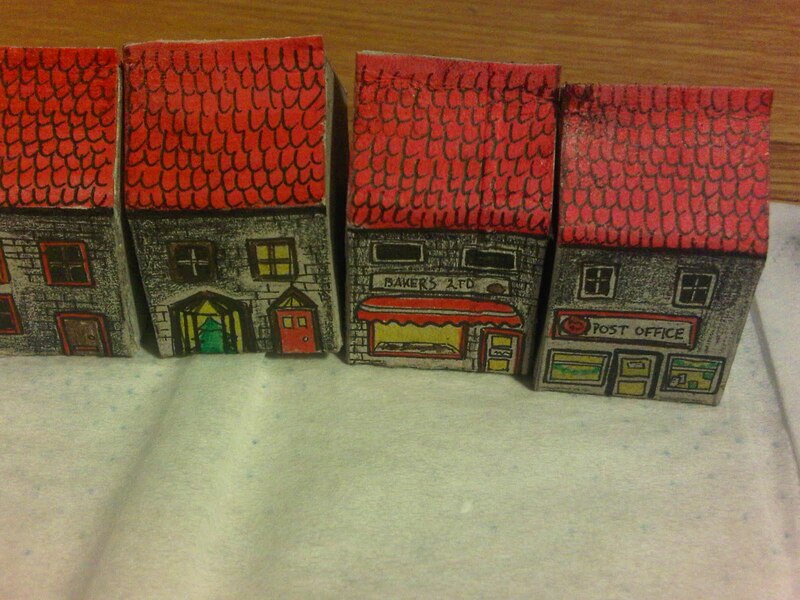 And Caitlin's houses sure are pretty 🙂 Actually they all are! 27 boxes? I can hardly imagine how tiny these must be. Wow, I am seriously impressed. Wonderful job! 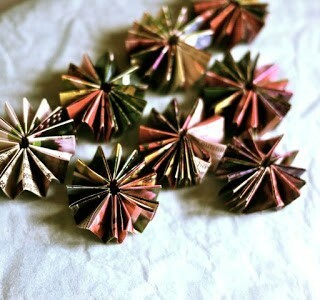 What patience it takes to make something beautiful out of a simple object. good job to everyone who participated in this challenge. These are amazing! 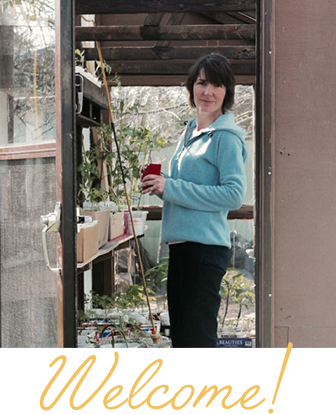 I am so glad I stumbled upon your blog! I immediately added you to my Reader! 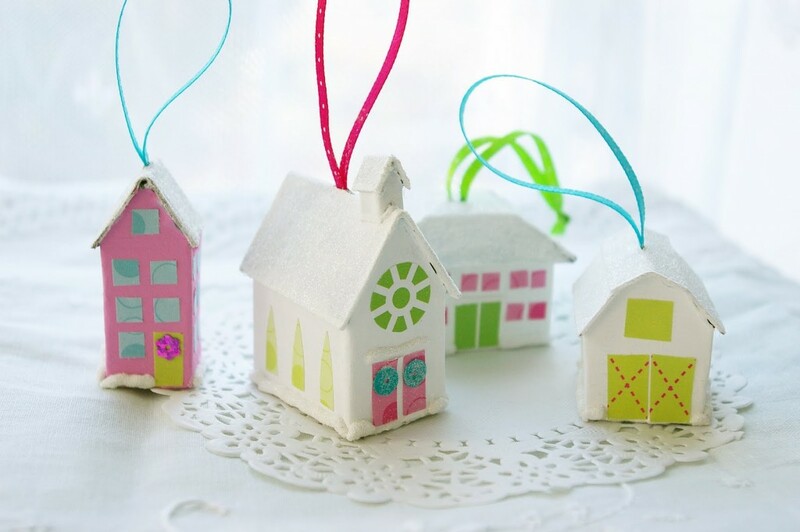 And I am going to be sharing a link to these beautiful tissue box houses on my blog tomorrow! I saw these images a few days a go and I haven't been able to get them out of my head. These crafters are turned something so humble into family heirlooms. 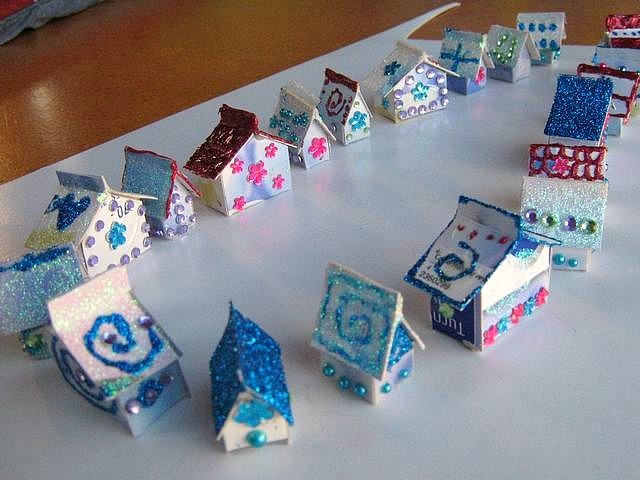 What a wonderful idea -making dozens of teeny little houses from a tissue box! I am going to have to make some of these! Great job everyone!